Anecdotal reports from faculty in optometric education confirm they are receiving a large amount of unprofessional e-mails. 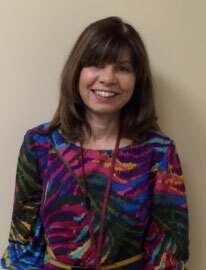 Recently, I received an e-mail from a student that referred to me as “Mrs. Denial” and included “Im having trouble with a topic u covered in class. Can u meet at 11 tomorrow.” I’ve had students use idk (I don’t know) in an e-mail to me as well. In another example, a student contacted me with a legitimate concern about a quiz taken with the college’s learning management system. I was sympathetic to the concern until I read the last sentence of the e-mail: “if this issue is not resolved I will have to take it to a higher power.” I’m not sure if the student would have used the same phrase in a face-to-face meeting, but my level of sympathy towards the student changed immediately. Unprofessional e-mails should not be tolerated by faculty. 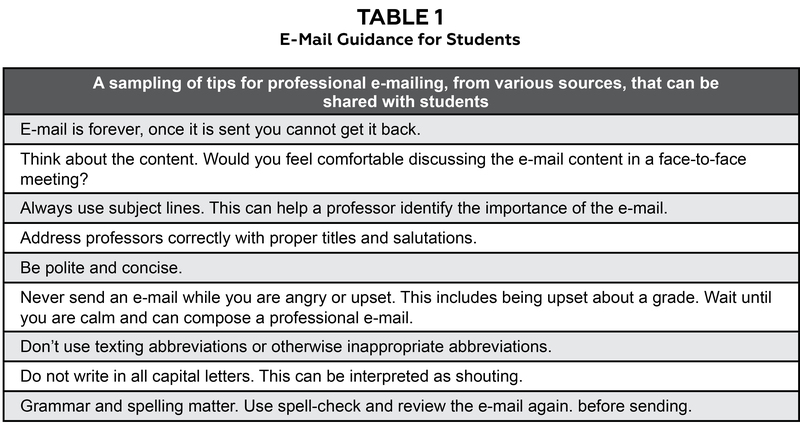 Discussing unprofessional e-mails with students can help to alter the behavior. A plethora of websites offer tips for composing professional e-mails. (Table 1) Faculty often include these guidelines in course syllabi. 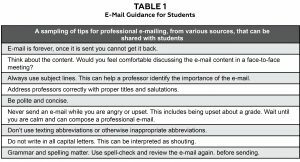 Providing students with some common-sense tips may help to guide them toward more professional e-mailing and maintaining a positive relationship with faculty. I welcome optometric faculty and administrators to share their experiences and ideas on this important topic. Dobransky ND, Frymier AB. Developing teacher-student relationships through out of class communication. Communication Quarterly. 2004 May;52(3)211-223. Jaasma MA, Koper RJ. Out-of-class communication between female and male students and faculty: the relationship to student perceptions of instructor immediacy. Women’s Studies in Communication. 2002 Nov;25(1)119-137. Martin MM, Myers SA. Students’ communication traits and their out-of-class communication with their Instructors. Communication Research Reports. 2006 Dec;23(4)283-289. Stephens K, Houser ML, Cowan RL. R U able to meat me: the impact of students’ overly casual e-mail messages to instructors. Communication Education. 2009;58(3):303-326. Glater JD. To: professor@university.edu Subject: why it’s all about me. The New York Times, Feb. 21, 2006. Jones S, Johnson-Yale C. Professors online: the Internet’s impact on college faculty. First Monday. 2005 Sept 5;10(9). Available from: http://firstmonday.org/ojs/index.php/fm/article/view/1275/1195. Aguilar-Roca N, Williams A, Warrior R, O’Dowd D. Two-minute training in class significantly increases the use of professional formatting in student to faculty e-mail correspondence. International Journal for the Scholarship of Teaching and Learning. 2009;3(1). 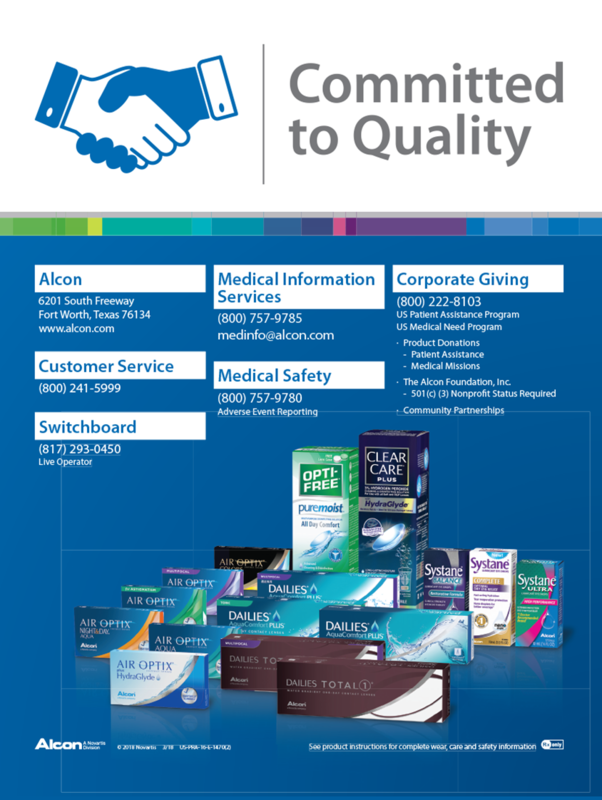 Available from: https://doi.org/10.20429/ijsotl.2009.030115. Espinoza C. Millennial values and boundaries in the classroom. New Directions for Teaching & Learning. 2012;2012(131):29-41. Available from: https://onlinelibrary.wiley.com/doi/abs/10.1002/tl.20025. Dr. 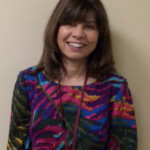 Denial [deniala@neco.edu], Editor of Optometric Education, is a Professor and Chair of the Department of Primary Care at the New England College of Optometry and a Clinical Instructor at a community health center in Boston.